This Week In Sports :: Round Em Up Rafa! It’s time again for another edition of “This Week in Sports”. There are so many things happening this month, let’s just look at the top stories… ok? Let’s go! 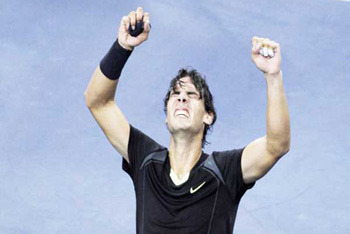 Rafael Nadal won the US Open making him the 7th player to win a career grand slam. That means he is only the 7th tennis player to win all 4 different grand slams throughout his entire career. It’s very hard to win all 4 grand slams because they are on different surfaces and in different weather zones. 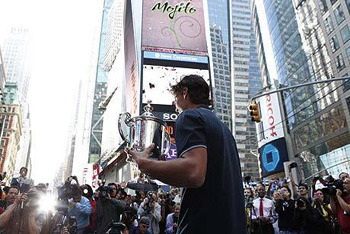 Rafa had a hard time winning in New York City because of the wind, but this year he finally showed everyone he’s King of All Courts. Who says professional teams can’t win championships in Seattle? The Seattle Storm won their 2nd WNBA championship by sweeping the Atlanta Dream 3-0. Seattle didn’t lose one game in their playoff run, winning all 7 post-season games. Lauren Jackson was the big star for Seattle throughout the playoffs scoring the most points. Lauren was awarder the MVP of the tournament. Derek Jeter made a very unsportsmanlike play this week to cheat his way on to first base. 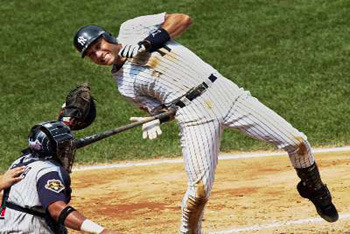 In a very important game with Derek’s team, the New York Yankees, and the Tampa Bay Devil Rays, Derek pretended to be hit with a pitch when the ball obviously hit the bat. 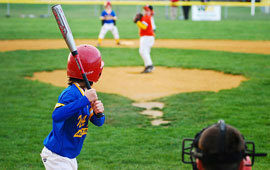 Derek totally tricked the umpire to believe that it was his arm that got corked and the umpire awarded him first base. Well, the good news is that the Yankees would go on to lose the game and the Rays passed them for top spot in the Major League. The bad news is that Derek looks worse than a diving soccer player.